Very nice colours and composition. Great pose too. Very good. 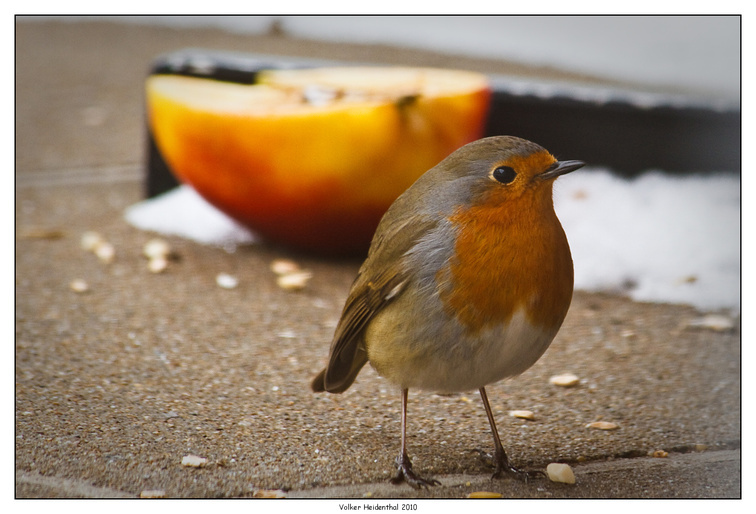 Like the apple in the background and the bird anyway. I think the apple is maybe a little bit too bright. Jep. A bit too bright. I would add a vignette. The photo has been viewed 988 times.